Of late, it’s been a hectic time for the CRABs. In June 2018 we donated $7500 to the Olivia Newton -John Cancer Research Institute, which brings our total donations to an amazing $25,000 since 2014. A truly great effort by the CRAB Hermits. Many thanks to the dedicated band of volunteers who participated in our fundraising events. 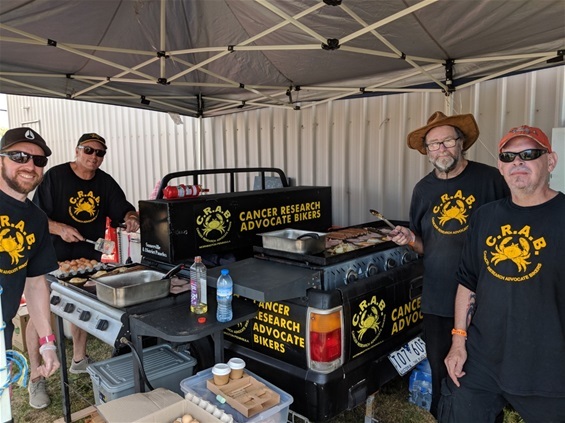 The Tyabb Air Show was yet again a great success, with the crew flat out all day preparing delicious bacon & egg rolls and the ever popular snags in bread. This was our third successive Air Show, so we must be doing something right. For the 7th year in a row the CRABs were again cooking up a storm at the BlueScope Christmas Party. Speaking of storms, there were quite a few storms about on the day, and yet we continued on through the deluge. 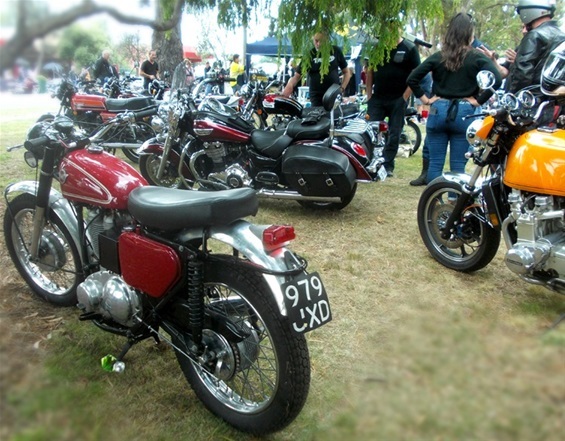 The CRAB Classic Bike Show in Crib Point was yet another highpoint of our year. 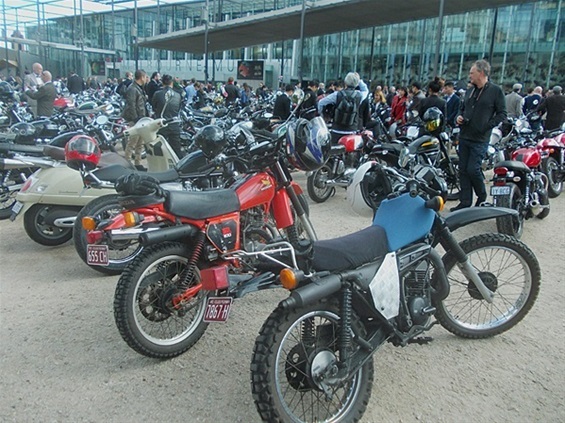 Over 125 bikes turned up, as well as many hundreds of visitors who enjoyed the festivities. The Meander Down The Bay Ride was plagued with shocking weather for the second year in a row, and only the bravest of the brave turned up. Many thanks to those who did. Throw in a couple of ever popular and rewarding Bunning’s Sausage Sizzles at Mornington and Hastings, and I’m happy to report that the CRAB’s had a financially rewarding year. But it hasn’t been all sweat and toil. 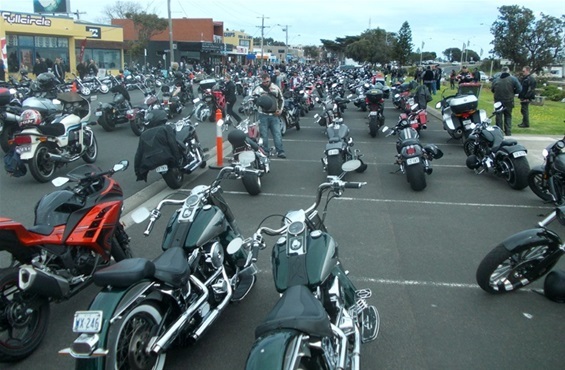 The club saddled up and was present at The Blessing of the Bikes in San Remo. Once again, the Blessing was a hugely popular run, with the length and breadth of San Remo “chockers” with bikes of all persuasions. 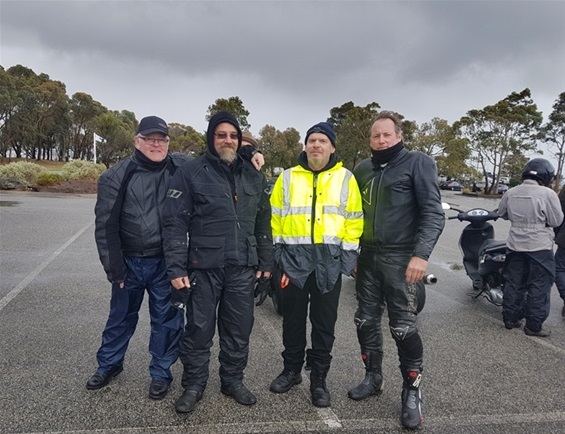 The 2018 Peninsula Toy Run was also plagued with extremely poor weather, but still a couple of hardy CRABs turned up to fly the flag for the club. 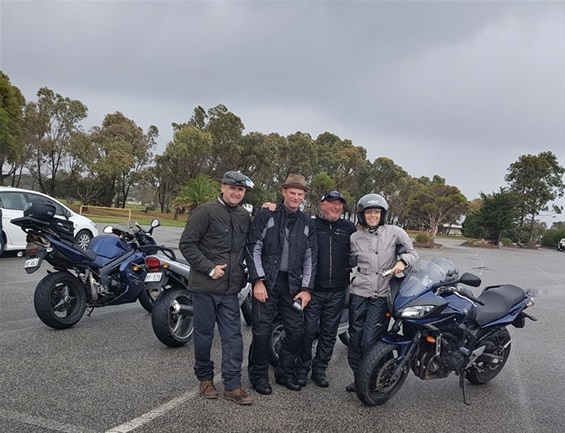 A few members also did the run to the Bombala Bike Show, but it also had its fair share of inclement weather conditions...is there a pattern forming here? 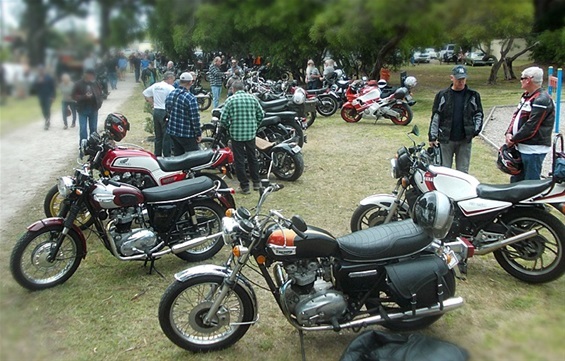 Much fun was had at the annual pilgrimage to the Classic Motorcycle Races on Phillip Island, the classic bike show in Mansfield, the Steven Walter Snowy Ride, as well as many club rides to South Gippsland and the Mornington Peninsula. Team CRAB was also present yet again at the international “Distinguished Gentleman’s Ride”, which saw the team donating much needed funds to the DGR Prostate Cancer cause. 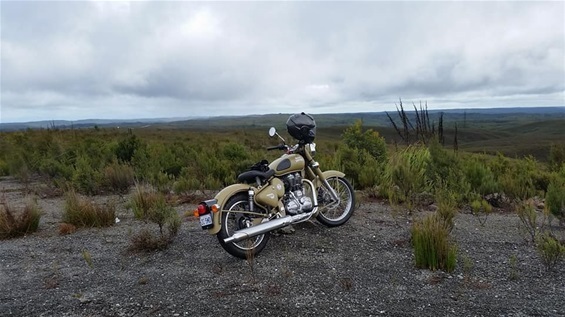 A couple of members were also lucky enough to participate in a Royal Enfield Tour around Tasmania..lucky bastards! 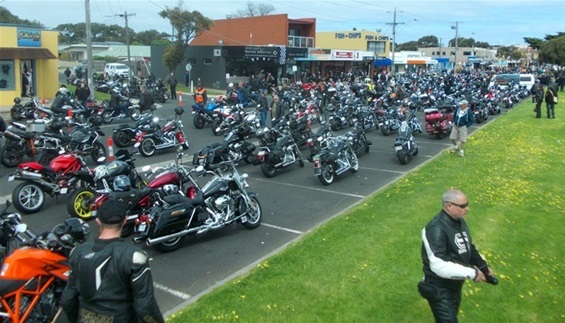 But wait there’s more...coming up in late June we will be doing a run to the Postie Bike Muster at Cafe Moto in Carrum. 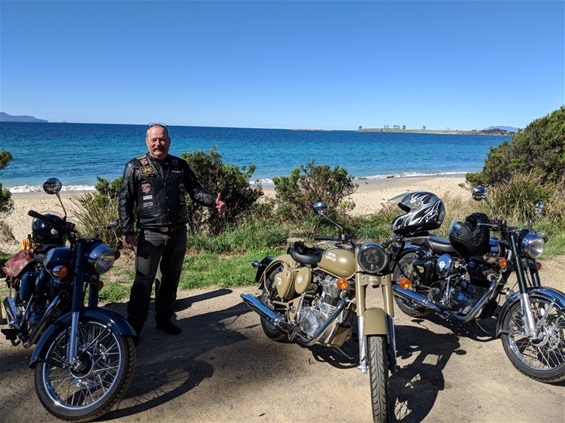 The club (Team CRAB) will again be at the Distinguished Gentleman’s Ride in September, The Blessing of the Bikes at San Remo in October, the Bombala Bike Show in November and the Peninsula Toy Run in December. The club is also planning a “Blow Out The Cobwebs” spring motorcycle gathering, as well as our annual Classic Motorcycle Show in January. The motorcycling throng at the start of the DGR ride. Bikes of all descriptions participated in the ride. Don't those two retro trail bikes look great. It's a lucky guy that owns them.. The main street of San Remo was completely "chockers".. 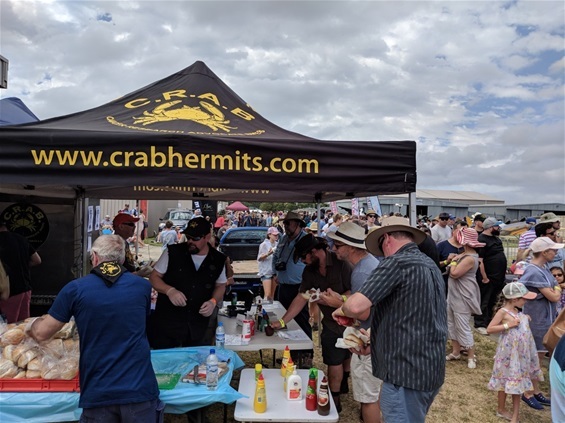 The CRAB crew flat out at the Tyabb Air Show. At the Crib Point Bike Show. Some fantastic machines turned up..
Ross seems to be having a good time on the Enfield tour.. Some of the very brave CRAB crew at The Meander Down The Bay ride.